Nait Babies Blog: Nait Bear arrives in Donegal, Ireland. Good going Nait, glad you arrived safely and weren't seasick!!! Nait bear is having a rest today after a very hectic couple of days. We're going to a birthday party tomorrow which I hear will have some very special guests of the furry kind.. ooh!! 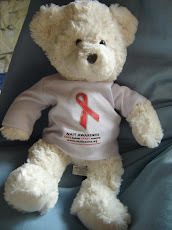 Nait bear is just watching a DVD with the kids and chilling out.. but he said to tell me he'll have a new blog tomorrow! !